Teachers will be able to book a summer term visit to the Parliamentary Education Centre in London from Friday 13th January. The educational centre has Parliament-themed learning rooms, augmented reality experiences, 360° projections and sound technology. There are number of workshops available, too, in subjects including History, English, Citizenship, Politics and Law for Key Stages 1 to 5. Tours of the Houses of Parliament are also available during some visits. Crown and Parliament tour and workshop: This Key Stage 2 History visit will support a study of an aspect or theme in British history that extends pupils’ chronological knowledge beyond 1066 (for example, the changing power of monarchs). 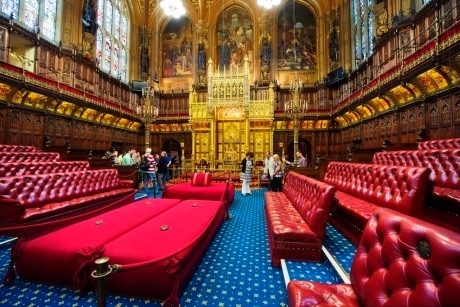 The accompanying tour might include the House of Commons and/or House of Lords chambers; Westminster Hall, the last remaining part of the original palace; and/or the Commons and/or Lords gallery to observe the MPs or Lords debating. State Opening of Parliament tour and workshop: Suitable for Key Stage 1 English and History pupils, this session uses costumes, props, storytelling and role play to discover why and how the three parts of Parliament come together when it first opened. The experience includes visiting the Palace of Westminster and following the procession routes taken by Black Rod, the Right Honorable Mr. Speaker, the Prime Minister and Queen Elizabeth II. Other workshops cover topics such as the concept of the constituency; the voting system; different political parties; and Government campaign strategies. The telephone lines will open at 8am on 13th January; teachers should call 020-7219 4496 to book a visit. Summer term dates are between Tuesday 18th April and Friday 21st July (excluding 1st May Bank Holiday and half term week, running from 29th May until 2nd June). For further information visit www.parliament.uk/education. Gringotts Wizarding Bank is the latest attraction to welcome school groups at Warner Bros. Studio Tour London. The National Theatre has reported that a record number of schools attended its recent Macbeth tour, highlighting the demand for trips to the theatre.